It appears a solar company forced to take its panels off a roof after the homeowner complained to the NBC Connecticut Troubleshooters in 2015 may have a tough time doing more business in Connecticut. BeFree Solar of Madison has signed a settlement that it cannot participate in a state program that reduced the price of a solar setup by almost 10 percent, putting it at a competitive disadvantage. This settlement came after a tense hearing almost six months ago. Several BeFree supporters attended a hearing by the Connecticut Green Bank, whose incentive and lending programs over the past five years have helped get funding for over 20,000 clean power projects in our state. "We negotiated a contract with BeFree and we found their cooperation excellent," customer David Newton told Green Bank board members. At the hearing the Green Bank outlined problems it had with BeFree. 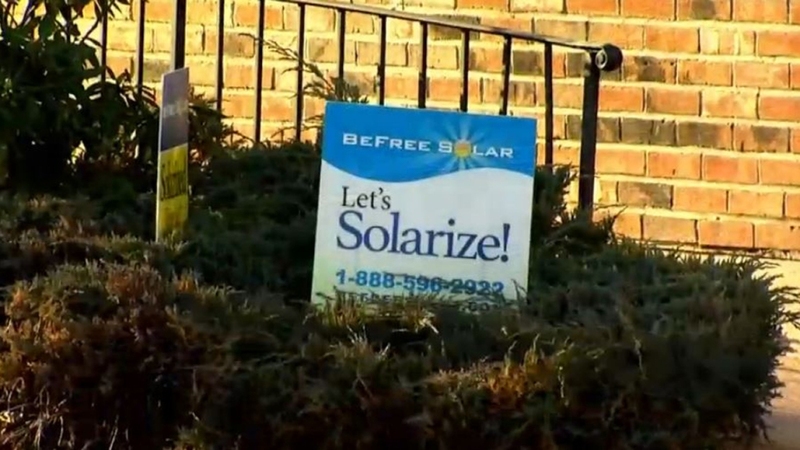 Those include a Killingworth man profiled by the NBC Connecticut Troubleshooters, who said BeFree installed lower quality solar panels on his roof, and he wanted them removed. “In fact, but for an NBC Connecticut story, this issue would still likely be unresolved," Connecticut Green Bank attorney Brian Farnen said. BeFree insists the Killingworth case was an exception. It has told the NBC Connecticut Troubleshooters, "There is a time lag between the signing of the contract and the installation of the solar panels because of the volume of people that have signed up. In that time frame, the original brand of solar panels can become unavailable and our contract allows the substitution of equipment. All homeowners are informed of this at the time they sign up." The Connecticut Green Bank explained the solar installation in Killingworth was just one of a host of problems. "It is beyond dispute, that BeFree improperly submitted packing slips to receive a working capital loan that they were not entitled to. In fact, they did this 66 times," Farnen said. Farnen responded, “Only one other contractor did not do it properly, which means, others ... got it." In the end BeFree signed a settlement, agreeing not to participate in any more Green Bank programs. It also voluntarily surrendered its home improvement license last fall, and according the state licensing website, it has not been renewed. Neither the Green Bank or BeFree can comment further, as part of the settlement agreement.